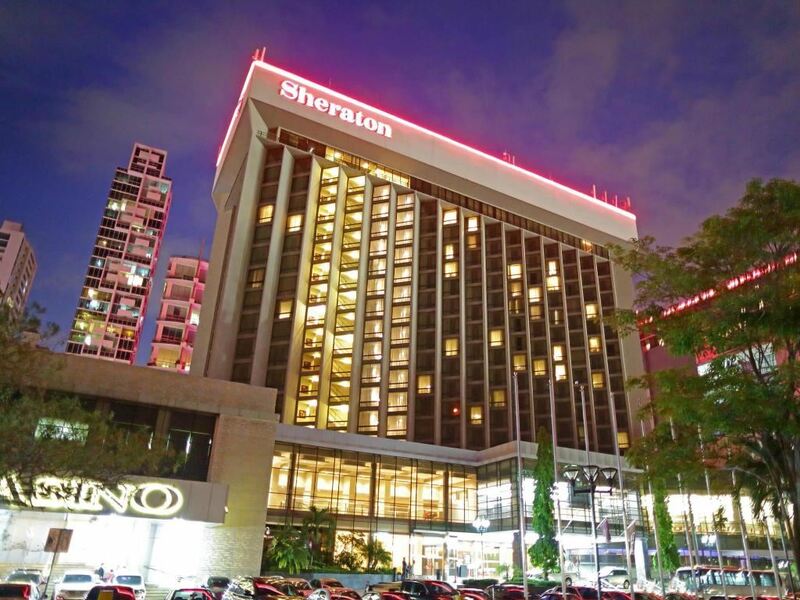 The official conference hotel is the Sheraton Grand Panama Hotel, located at 10-minute drive away from Tocumen International Airport. Adress: Vía Israel y Calle 77, Panama City, Panama. 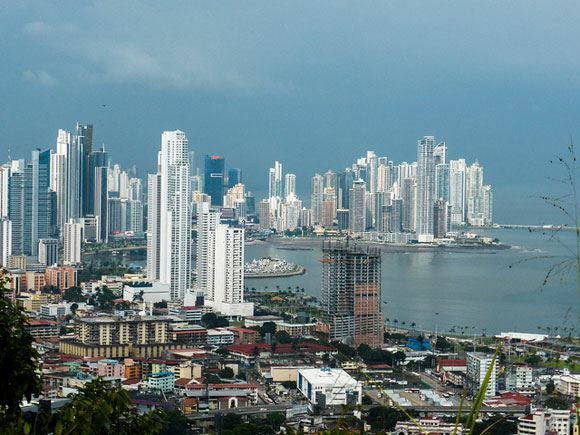 Panama City weather in May is moderate in temperature with a high of 32C/90F and low of 24C/75F. Note that May is when the rainy season starts to come back to Panama Canal, leaving you with much higher levels of rain. Visitors to Panama require a visa unless they are citizens of one of the eligible countries who do not require a visa for up to 180 days. All visitors must hold a passport valid for 3 months. Please visit the Embassy of Panama website for the most current visa information. Will they stay or will they go? Competitive RM with Loyal and Fully Flexible Customers. Imagine a world where instead of sitting in traffic on the downtown connector, you could simply drive to a vertiport near your home, enter into a small electric propulsion aircraft, fly over traffic, land on a rooftop near your work, and either walk or have an rideshare vehicle take you to your office. In this presentation, we provide an overview of ongoing research in air taxi flights for cities and present results from two surveys we conducted of commuters in five cities in the U.S. to estimate commuting demand and willingness to pay for these air taxi flights and competition with self-driving cars. With continuous pricing, airlines are no longer limited to quoting fares from a fixed set of published price points. We describe two approaches for calculating continuous prices – a fully “classless” RM model that does not make us of fare class forecasts and optimization, and an adaptation of a traditional class-based model which does. PODS simulations illustrate the performance of these two approaches relative to traditional RM with fixed price points when both competitors in a network implement continuous pricing. When only one airline implements continuous pricing, revenue gains are affected both by the levels of the continuous prices offered relative to fixed prices of the competitor, and by the number of fixed price points used by the competitor. Dynamic offer generation aims to provide tailored offers to different demand segments by bundling ancillary services with flight purchases. We formulate a revenue-maximizing algorithm that determines dynamically priced flight and ancillary offers based on estimates of willingness to pay by business and leisure passengers. We integrate this algorithm with traditional RM optimizers and extend the model to evaluate bundles with two ancillary services. Results from the PODS simulator are used to illustrate the source and magnitude of revenue gains from the dynamic offer generation model in a class-based unrestricted fare RM environment. They also provide insights about the benefits of bundling over dynamic pricing alone, as well as the competitive effects of this pricing strategy. To simplify demand forecasting for RM, several assumptions are made regarding passenger demand, such as independence across time of the day or local vs. flow. Many of these assumptions hold in a stable airline network, but when flight frequencies or departure times change significantly, passenger demand shifts to more desirable options, which is not accounted for with the independence assumption. We attempt to remove this assumption using passenger choice modelling to improve the demand forecasts so that they not only reflect history, but also take into account the future network. This can also setup the foundation for future research on improving the optimization methods to understand the interplay of price and quality differences between travel options. The Fourth Industrial Revolution is profoundly reshaping almost every aspect of our life, and profound societal changes also occurred with the emergence of new economic models. In this challenging context, airlines need to better understand the behavioural response of their consumers. Discrete Choice Models (DCM) have emerged as a powerful theoretical framework for analyzing individual air travel behavior. However, more recently, the machine learning community has also generated a tremendous amount of research aiming at predicting, with high accuracy, a variety of choices. Researchers from these two communities are often convinced that their respective field outperforms the other one. In this talk, I present a research project in progress that combines, in a single joint optimization, the estimation of a standard multinomial logit model, based on a carefully thought utility specification, with a learning representation model that aims at increasing the overall predictive performance. I believe that this work contributes to bridge the gap between theory-driven and data-driven methods and show that the two communities, that have generally different perspectives and research priorities, could both benefit from a deeper collaboration. Ancillaries have become a major source of revenue and profitability in the travel industry. Yet, conventional pricing strategies are based on business rules that are poorly optimized and do not respond to changing market conditions. This paper describes the dynamic pricing model developed by Deepair solutions, an AI technology provider for travel suppliers (www.deepair.io). We present a pricing model that provides dynamic pricing recommendations specific to each customer interaction and optimizes expected revenue per customer. The unique nature of personalized pricing provides the opportunity to search over the market space to find the optimal price-point of each ancillary for each customer, without violating customer privacy. In this presentation, we compare three approaches for dynamic pricing of ancillaries, with increasing levels of sophistication: (1) a two-stage forecasting and optimization model using a logistic mapping function; (2) a two-stage model that uses a deep learning for forecasting, coupled with a revenue maximization technique using discrete exhaustive search; (3) a single-stage end-to-end deep learning algorithm that directly recommends the optimal price. We describe the performance of these models based on both offline and online evaluations. We also measure the real-world business impact of these approaches by deploying them in an A/B test on an airline's internet booking website. Last year at Agifors RM, we introduced a new method to evaluate forecast accuracy – based on conditional forecast accuracy. This measure is completely general and applicable to any demand model (independent as well as dependent demand). We would ideally prefer that the most accurate forecast produces the maximum revenue: min forecast error <-> max revenue. Last year, we tested our efforts in a miniature PODS Network (A1one—a single O&D market with a single airline) and found that we were able to satisfy the fundamental requirement above in our simplistic network. This year, we continue our research in a much larger PODS Network D6 (2 competing airlines, 440 O-Ds) and present results with both airlines using either symmetric or asymmetric RM systems and forecast parameter values. O&D forecasting over a vast airline network requires intelligently combining together as much data as possible. Forecasting these entities at significantly lower level leaves airlines with more granularity and fewer actual observations to update the model over time. Frequently a single time-series of all historical data is compiled, and then the booking horizons for each departure date are forecasted together. A common practice is to use a drift learning rate or time-weighting parameter to control how forecasts adjust over time as new data is observed. This can produce the unintended consequence of data having outsized impacts between seasons – e.g. a drop in bookings in February affects summer peak forecasts in July. These effects may appear subtle, and can only be uncovered by storing and analyzing vast amounts of data. Sometimes user intervention can help minimize or prevent unintended effects. A proposed solution is to ensemble together forecasts using different drift learning rates, so that changes in bookings are reflected in near-term departures while maintaining stability for longer-term departures. This presentation describes a machine learning application that Sabre recently implemented for hotel ancillary product recommendations. Our project objective was, given a list of candidate products applicable to a given web page, build a ‘self-learning’ model which can select the right products to display (in the right order) for a given customer segment. We believe a similar approach is easily applicable for airline ancillary recommendations as well. The authors will discuss how the Multi-Armed Bandit (with Thompson Sampling) experimental design algorithm was applied to this problem. As the need for higher efficiency becomes more and more prominent, the shift from human-driven systems towards human-assisted and human-monitored systems is key to ensure a more scientific, fast and accurate outcome. Quantum Pricing is an example of that, bringing value through innovation for the pricing function, by reading and interpreting fares and rules and optimizing fare ladder upsells in line with set strategies. The partnership with Sabre has enabled Etihad to develop quickly a robust mechanism of benchmarking for both fares and rules and ensure higher speed to market in a less error prone environment. We will discuss the business need it addresses, the approach taken, the models used, the current state, the challenges faced and how we tackled them in implementing this innovation initiative. State-of-the-art revenue management systems (RMS) use customer choice models to optimize revenue in semi-restricted and fare-family fare structures. These choice models rely on estimates of customer willingness to pay (WTP) to account for sell-up behavior. Current WTP estimation does not explicitly consider competitor prices. Instead, competition is indirectly accounted for by its effect on the airline’s booking activity. However, this approach can lead to biased estimates of WTP. While this issue has long been known, it has never been systematically corrected. Rather, it is managed by users manually adjusting their selling fares. In this talk, we describe how it is possible to design a competitor-aware RMS. Such a system requires forecasts of competitor pricing behavior at a granular level. We will discuss how this can be achieved in practice based on airfare analytics. Finally, we demonstrate how CARMS can increase revenue over traditional choice-based RMS. With NDC, booking classes and fares filed into GDS systems will no longer be necessary, and the task of revenue management will shift from optimizing the availability of fares to generate optimal offered prices for each seat product (economy basic, economy classic, etc) which an airline sells. We will show how the marginal revenue transformation theory can be extended into the classless RM environment, and introduce a network optimization algorithm based on this. The optimizer takes the forecasted price-demand curve of each OD product as input and uses dynamic programming to calculate a bid price vector on each leg-cabin, which are in turn used to calculate the offered prices for each product. We will also discuss how the new method could be used in practice by an airline RM department to provide predictable and self-consistent prices. Competition in the Airline RM is the topic that has been talked about for as long as there were more than two airlines serving the same market. Various ways of accounting for competitive effects have been invented over that time span often relying on resetting the price structure and subsequent manual user intervention when competitive situation changes. The microeconomics models of competition have been of lesser value since many of their assumptions were deemed not realistic. One of those assumptions is to treat all customers as seeking the lowest price in the market (fully flexible), a statement about customer behavior that is not always supported in practice. On the other hand almost all early RM models assumed that demand is dedicated to an airline (loyal). We attempt to strike a happy middle and show realistic competitive RM models that include those two types of customers. Furthermore, we show that the same idea apply not only in the existing fare class-based world but also within the classless dynamic pricing context and present numerical examples for both of them. Many aspects of existing Revenue Management systems (such as the forecaster and optimizers that calculate bid prices) may already be fit for purpose to drive Dynamic Offer. For the remaining aspects of the revenue management equation, a vast new array of data sources and sophisticated algorithms can apply to optimize results. The industry is slowly maturing to Dynamic Offer in context of NDC and ONE Order with some airlines aspirating for industry change beyond the use of Booking Class and pre-filed products. IATA will present today’s challenge, opportunities driven by NDC and ONE Order and the business rational behind Dynamic Offer. Recent academic studies as well as the airline industry endeavors the change from classical Revenue Management to a next generation Dynamic Offer Management. Such Dynamic Offer Management shall overcome the existing limitations from the pre-defined RBD-based offer creation that is mostly determined by the GDS-driven legacy processes of the pre-internet era. Due to its growing importance in particular in NDC-powered interactive channels, Dynamic Offer Management now requires dedicated optimization models to gain the full revenue potential. In this presentation we want to discuss the major drivers and components of a Dynamic Offer Management in the airline industry from a holistic perspective. We present the six cornerstones that have been identified as major determining factors for the successful development of Dynamic Offer Management capabilities at an airline. We show that these cornerstones call for a triad (methods, solutions, processes) to be considered. At the edge of new ground-breaking Revenue Management techniques, current legacy systems continue to separate predefined and static price points from the inventory control. Highly sophisticated systems are tasked to optimize class availability given a predefined pricing structure; however this fundamental input is rarely assessed. In this presentation, we propose a method to optimize the distribution of fares and demand by class using the actual fare value of past observations and therefore improve the network optimization output. First, we will describe the scientific approach – the construction of a historical demand curve followed by the application of Operation Research mechanisms to optimize the pricing structure. Then, we will focus on the practical considerations that needed to account for the commercial realities as we apply the scientific principles. Finally, we will summarize the key learnings and the outcomes on different market profiles. Our goal is to show a roadmap of how reinforcement learning (RL) can revolutionize revenue management. Starting our journey by showcasing RL in an airline simulation game; we are now building a dynamic ancillary pricing solution. Showcasing the power of RL for ancillaries is the first step as this is a less competitive environment with significant potential. In the next year, we want to expand this new technology throughout the entire revenue portfolio; first touching bundle upsell pricing and then point-to-point availability decisions. Currently, we exploit the often static ancillary price to convince airlines that a demand and elasticity forecasting module can be beaten. Assumptions regarding customer behavior and their price elasticity do not have to be made a priori but instead be learned by the RL-based agent. While doing so, our current approach keeps the amount of exploration to the necessary minimum while respecting commercially acceptable limits. One of the potential risks of NDC is a diminution of transparency of competitive fare levels and fare structures. The author will describe some academic research on how well more sophisticated "modern" RM Algorithms adapt to changes in fare structure. Despite the growing importance of ancillary services as a revenue stream for airlines worldwide, there is still a general lack of understanding among the vast majority of carriers of the market dynamics in this area of the business, which prevents them from harvesting the full potential in the markets they operate. Lack of consistent industry best practices in ancillary revenue measurement and strategy evaluation, no reliable and granular industry benchmarking based on a global standard dataset, big differences in ancillary product management strategies across regions and business models, as well as technical limitations with legacy systems, were identified through a global market study conducted by IATA in 2018 as the key factors that are currently hindering the development in this area. IATA is now working with a number of carriers from around the world on a collaborative initiative to develop a data sharing program on ancillary sales that will help address the above challenges, and facilitate the transformational change airlines require in order to move towards a data-driven decision making process for their ancillary sales strategies. The principals of revenue management follow an ex ante approach; utilizing large amounts of historical data to create a forecast of what might happen in the future. In recent years technology has made it possible for airlines to utilize the same concept but with an ex post approach: utilizing current data to understand the value of the marketplace of utilized and non-utilized assets, current customers, potential re-utilization value of those assets, the method and inventive required. Our presentation will talk through the concept, the initial results of airlines who have launched the concept and some algorithmical iterations.